Many of Uganda’s problems today stem from too much market and too little government. Mr. President, you end up doing things in excesses? When I started writing this column in May 2006, I debuted with a piece about the role played by structural adjustment programmes (SAPs) in derailing economic progress of Uganda and other African countries. In that piece, I questioned the logic of NRM government to blindly continue implementing the SAPs even after the Bretton Woods institutions (the World Bank & the IMF), the architects of these policies, had conceded that “the poor are better off without structural adjustment”. Mr. President, I have now and again brought to your attention the fact that SAPs emphasised more what matter less — liberalization, deregulation, and privatization — and paid very little attention to the issues that affect living standards of people and sustainability of economies, such as employment, equity, industrial policy, etc. I have, in several articles in these pages, questioned the obsession by your government to over liberalise the economy. I used to agonise on this until I discovered that actually whenever you are called upon to change your positions, you end up doing things in excesses! When you were asked to abandon your single-party politics and allow multi-party democracy, you over-democratised and over-politicised the country. Today, Uganda is more politicised and democratised than the grandparents of pluralist democracy. You think education can be private! When you were asked to decentralize, you nearly turned every single village in Uganda into a district. When you were advised to promote free education, you took it literally to mean that parents had nothing to offer in the process of educating their children. You took to political podiums and mass media to announce how you were going to arrest and lock up head teachers who charged parents some little money to feed their children. As a result, children went hungry and soon results were out — dropout rates and failure rates in national examinations skyrocketed. You also let capitalists run schools and ask parents to pay Ushs. 1.5 million to have their 5-year old children draw cartoons in nursery, all because “ours is a liberal economy”. It’s not uncommon to hear you, Mr. President, telling Ugandans, “Those of you who do not want to educate your children in UPE schools, take them to private schools and pay the millions.” You simply feel that since these schools are “private” they should be run as the capitalists wish to run them. You kind of paint a picture that these schools offer “private education”. Mr. President, education has never been private; it is a public good (non-rival and non-excludable). When you were asked to liberalise media, you let televisions show x-rated videos and movies at 10am when children are having breakfast. In this country, all owners of radios and televisions know that they are free to broadcast or telecast anything, as long as it does not hurt NRM’s or particularly President Museveni’s chances of ruling the country eternally. When you were asked to liberalise the health sector, you let untrained “nurses” and “doctors” to kill people simply because “ours is a liberal health system”. Now, anyone is free to open up a clinic or drug shop as long as they pay some tax or employ a few Ugandans. How those clinics and drug shops are run, and who runs them, is of little concern to government. Government is only seen when a disaster has occurred — some “nurse” injecting HIV-infested blood into a baby, or some man calling himself a doctor opening up the stomach of a pregnant mother to remove the baby but has no idea how to close it back! When you were told that foreign direct investments (FDI) may help to boost economic growth and job creation, you took it literally to mean that indigenous investors did not matter. So, you piled up massive incentives in form of tax holidays, free land, 100% foreign ownership, guaranteed profit repatriation, etc. You relocated schools and nearly gave out national forests, all in the name of attracting FDI. You only realised yesterday that because of your obsession with FDI, and the excessive incentives you offered, you could no longer raise revenue to finance public expenditures. Mr. President, when you had just come to power in 1986, you were a strong advocate of government intervention in the economy. You were a demagogue believer in Marxism. But because the economy was performing badly, quite expectedly owing to the political, social and economic challenges of the time, you were persuaded to drop your Marxist doctrine in favour of capitalism. Since, you have been on mission to become more catholic than the Pope. When you were told to liberalise, you took it literally to mean that government had no role whatsoever to play. I don’t know why your stance is always to adopt the extremes! For you, it is either zero or infinity! No middle ground. Mr. President, why are you a fundamentalist? 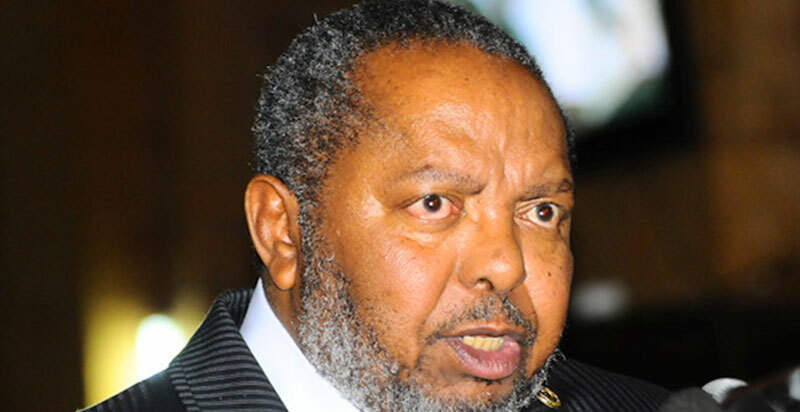 Last week, you once again demonstrated your obsessive stance when journalists asked you why your government has continued to look on as banks cheated Ugandans by charging exorbitant interest rates on credit acquired cheaply from Ugandan savers. Banks charge very high lending rates on borrowers (averaging 23% today) but offer very low interest rates to savers/depositors (3.2%). You were reported having said that the high lending rates will be cured by liberalisation. Your view is that when more banks come in, they will compete and as a result of the competition, lending rates will go down. This is the same position shared by fellow market fundamentalists at Bank of Uganda. Unfortunately, evidence does not support your hypothesis. Since your government lifted the moratorium (a temporary suspension) against licensing new banks in 2005, Bank of Uganda has licensed a total of 15 new commercial banks. The total number of licensed commercial banks as at 31 March 2014 was 26, with a total of 457 bank branches and 685 ATMs. This, however, has not changed the oligopoly structure our banking system — where a few foreign big banks control a large share of the market. In other words, the competition is not real; no wonder interest rates have not changed much since 2005. Actually, over-liberalisation could be killing the incoming banks. They are now competing for the same clients. Personally, I have four accounts in three banks. A fortnight ago, Bank of Uganda closed another bank, Global Trust Bank, in less than two years after shutting down National Bank of Commerce in September 2012. The banks were closed for insolvency related problems. Many other banks are performing at shutdown points. Some of us saw this coming. I wrote in these very pages warning that if Bank of Uganda did not regulate banks that continued to make money in an irresponsible manner (predatory lending and cheating depositors), Uganda’s financial system was in danger. Many people have raised enough noise about the high lending rates banks charge borrowers in Uganda compared to other countries in the region. Bank of Uganda and the banks themselves turned to the song of structural rigidities. That the cost of doing business in Uganda was so high because of poor infrastructure (energy, roads, ICT etc), risky borrowers due to limited information about Ugandans, and lack of long term finance. At the beginning of the reforms, in the 1990s, these were logical challenges, but over time we have improved them without much response from banks. Too much market, too little gov’t! I don’t think our infrastructure is much different from that of other countries in the region where banks charge 14% – 15% interest rates on borrower. Neither do I believe that Ugandans are extremely more risky to lend to, compared with all our neighbours where lending rates are nearly half way those charged on us here. Mr. President, some degree of consensus has already emerged that over liberalization of the economy hurts economic performance. All economies around the world regulate their markets. For us we are behaving as if markets are self-regulating. Like I always say, many of Uganda’s problems today stem from too much market and too little government. This is what has retarded this economy to the extent that it cannot create jobs, raise enough tax revenue, pay workers their salaries, and sustain growth.